V1 VoIP offers an advanced and feature rich PBX designed to provide its customer with featured only available in much more expensive solutions. The V1 VoIP PBX solutions is offered three different ways to fit all your needs: private virtual, private hosted and private in-house solution. V1 VoIP’s PBX services are cloud hosted and quickly becoming the ideal phone solution for small to medium sized businesses. Feature rich, highly flexible and offering secure solutions, the V1 VoIP platform adds functionality that other options make you pay extra for. V1 VoIP clients receive a solution that is designed to operate as a whole, rather than a disjointed mixture of composite elements that cost more and work less effectively. Customers of this solution enjoy all the features of the V1 VoIP without having to have the technical skills to administer the PBX hardware and software. 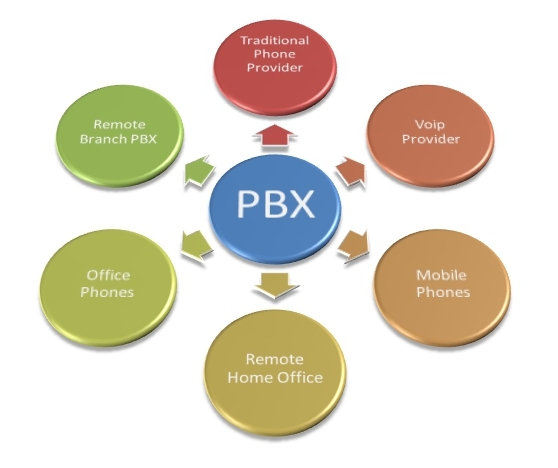 Customers purchase a virtual PBX with certain extensions including support. Customers will only need to register their IP-Phones to the V1 VoIP server and all is done. A dedicated V1 VoIP system on a dedicated server hosted in our facility. Customers of this solution are the only users of the system and can administer and control all aspects of the PBX. Our hosting facility provides high quality IP designed for high quality voice, power backup, and necessary cooling. V1 VoIP may be use in house operating on a server located in the customer premises. Multiple V1 VoIP systems can operate in different locations of a large organization and form a single virtual large PBX. Not sure which solution will work best for your company? A V1 VoIP representative will be happy to answer any of your hosted PBX questions and tell you about all the features each one provides.